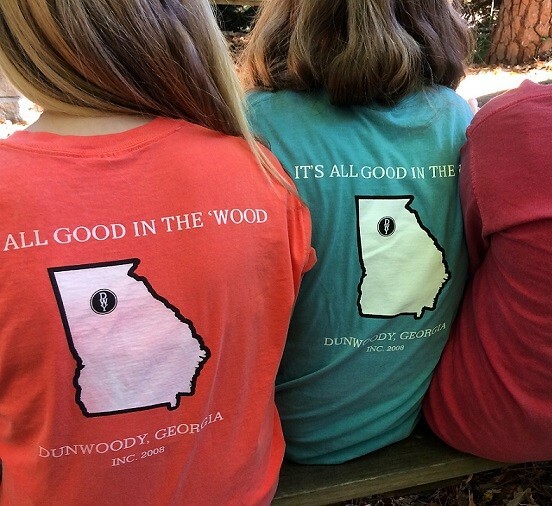 Dunwoody - "Where everything will be OK." Dunwoody Outfitters offering high quality shirts. I have been known to knock around town in my "It's All Good in the 'Wood" shirt but since it is getting some age, I was overjoyed when I saw this shirt being offered by a start-up being run by a couple of local high school girls. I immediately ordered three (several for gifts) and was really impressed with the quality of the 100% cotton shirts. I posted a photo on my personal Instagram & Facebook pages and everyone wanted to know where I got the shirt. 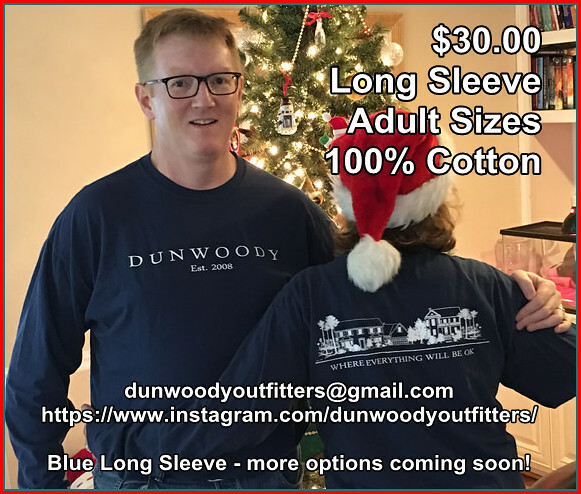 The long sleeve blue shirt costs $30.00 and they currently only have adult shirts on order but they are expecting to take the profits from this initial run to expand into various colors, styles, and sayings; therefore I am happy to endorse this small business which promotes goodwill in our community on high-quality materials. The movers & shakers of Dunwoody break ground for a new Austin Elementary School. 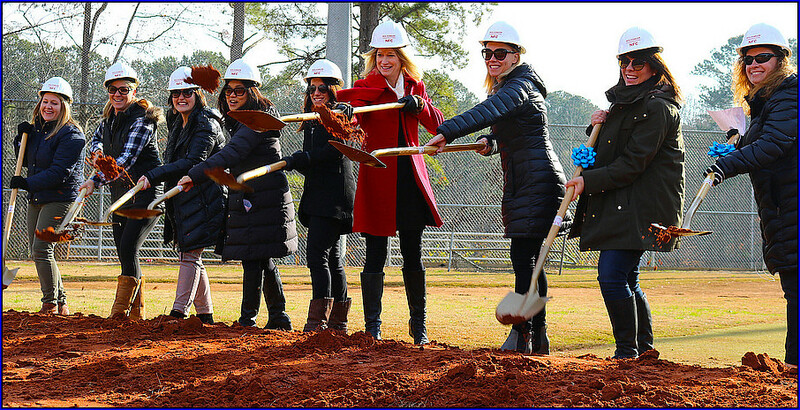 Dunwoody Moms (the true movers & shakers in this community) break ground at new Austin Elementary School with Principal Ann Culbreath. New school for Austin Elementary with little disruption for construction. 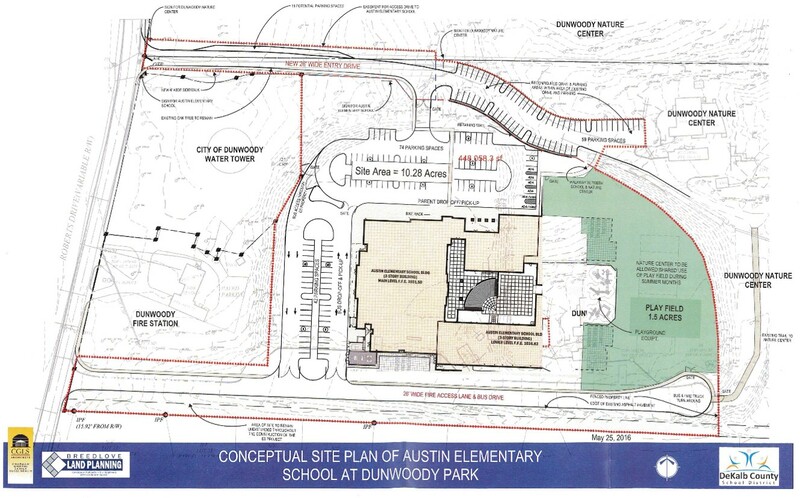 New Austin Elementary School will be constructed on space currently used by Dunwoody Senior Baseball. 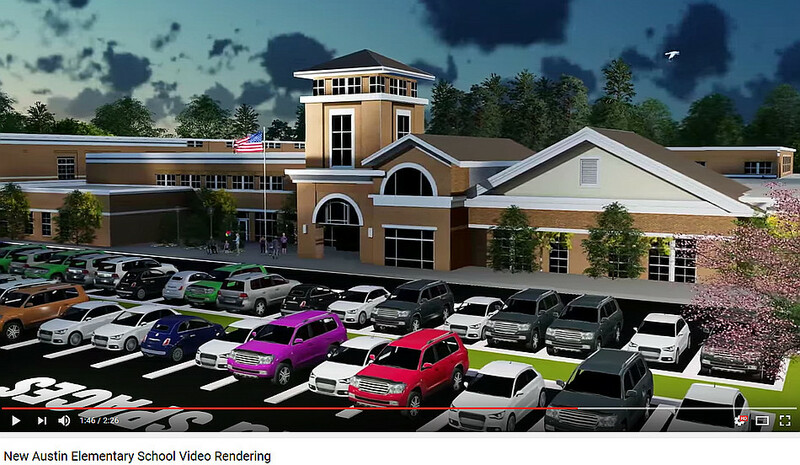 The design of the school is the current "DeKalb Standard design" built is several other locations whereby the capacity of the school will be 900 students. The South entrance (currently DSB) will be for buses only and will facilitate easy drop off, that same bus lane will continue to the back where school field trip buses can drop children at the Dunwoody Nature Center and then have an easy turn around. The North entrance (currently DNC) will be the main entrance to the school and it will be shared by Dunwoody Nature Center as they have different peak times. Vehicle stacking space of this main driveway should facilitate taking cars off Roberts for drop off. The parking at the Nature Center is improved and there will now be parking for special events at that facility. Buffering between new Austin and street to South will be assured (as was done in the construction of DES). 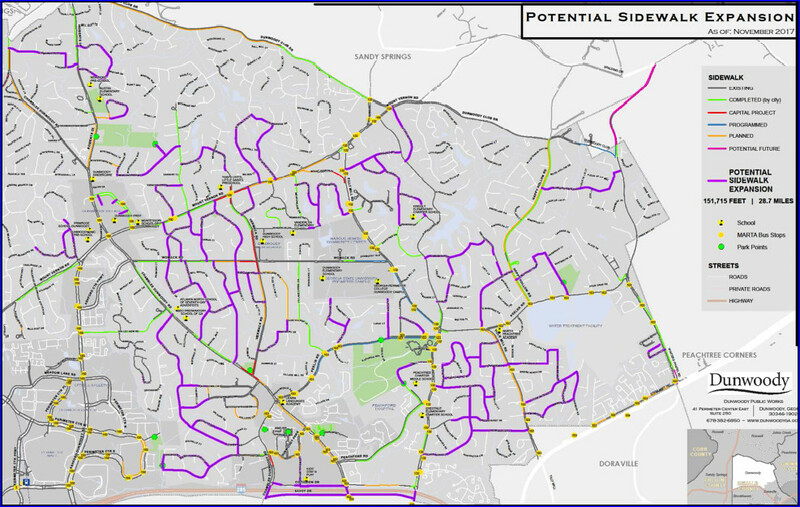 City of Dunwoody to discuss expanding sidewalks into the neighborhoods. City Council agenda Item up for discussion. During deliberations on the recently adopted transportation plan update, the city council suggested that the city may want to consider a policy on the expansion of the sidewalk program into neighborhoods. The current policy primarily focuses on completing sidewalks on both sides of all arterial and collector roads. The sidewalk program has been successful in prioritizing projects and the city has completed approximately 11 miles of sidewalk in the 7 years since it was first adopted. This is about half of the total miles of sidewalk included in the program. The presentation accompanying this agenda item provides a framework for a policy discussion about expanding the sidewalk program into neighborhoods considering other competing priorities. The presentation also includes research and best practices on uncontrolled crosswalks that staff recommends incorporating into any future update to the sidewalk policy. Should city expand sidewalk program to fund sidewalks on neighborhood streets? 5:30 p.m. - missing link? 5:30 Agenda - Dunwoody Public Facilities Authority - Dunwoody Nature Center discussion. Recognition of Council Member Doug Thompson. SECOND READ: Ordinance Amending Chapter 28, Article III, §28-56 Hotel Tax Imposed. SECOND READ: Ordinance Granting a Permanent Construction Easement Agreement for Georgia Power Company at Brook Run Park Baseball Fields. Resolution Adopting the Statewide Police Mutual Aid and Assistance Agreement. Resolution Appointing Members to Serve on the Audit Committee. 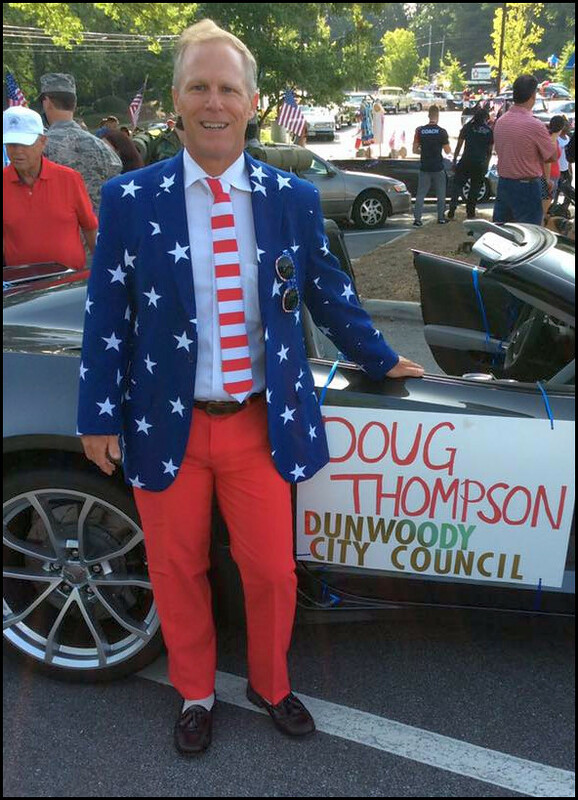 Resolution Appointing District 1 Member to Serve on the Convention & Visitors Bureau of Dunwoody. Resolution Appointing Members to Serve on the Design Review Advisory Committee. Resolution Appointing Members to Serve on the Sustainability Committee. Stormwater Funding Approval - 4474 Haverstraw Drive. SECOND READ: SLUP17-04: Prado Perimeter Center, LLC Owner of 121 Perimeter Center West, Tax Parcel Number 18-349-05-029, by Dennis J. Webb, Jr., Attorney for the Owner, Seeks to Amend Conditions of Zoning of RZ10-041 for the Development of a Hotel, Restaurant, and a Parking Deck.Seeks a Special Land Use Permit to: A)Section 27-23(b) to Vary Maximum Building Height in an OCR (Office, Commercial, Residential) District From 2 Stories/35 Feet to a 7-Story Hotel and 5-Story Parking Structure; B) Section 27-98(b)(6) to Vary the Minor Parkway Street Type Requirement (Perimeter Center Place); and C) Section 27-98(b)(7) to Vary the Primary Street Type Requirement (Olde Perimeter Way). On Tuesday, December 5th at 6pm at Dunwoody City Hall there will be a meeting to discuss the communities vision and action plan to guide investments and future improvements in areas of the city that are prime for redevelopment. While talking redevelopment, suggestions will also be taken on park, trail and sidewalk opportunities as well as street connectivity improvements in these areas of the city. In the 2015 Dunwoody Comprehensive Land Use Plan, it recommended that the City undertake a study of the redevelopment potential of these areas to get community input and study the impacts of new development along the I-285 corridor. Therefore the City sent out an RFP and is now in the primary stages with Tunnell - Spangler - Walsh & Associates to conduct this small area study of these properties, but to me, there are only three areas that this study truly explores for economic redevelopment. The first is the large set of apartment complexes at Winters Chapel & Peachtree Industrial Boulevard, the large "Dunwoody Village / Dunwoody Crossing" Apartment complex at North Peachtree Rd & I-285 and finally the corner of Winters Chapel and Peeler which is now dominated by the Walmart Neighborhood Market in the City of Peachtree Corners. 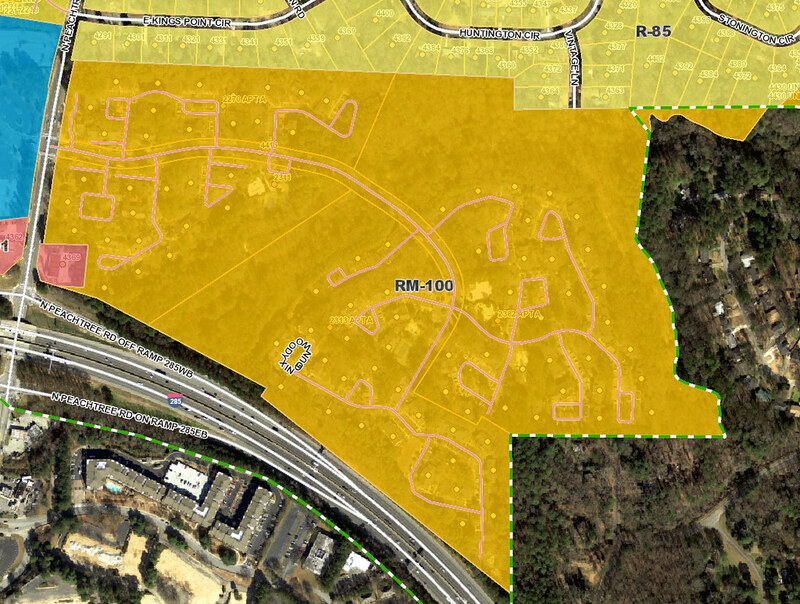 If I was betting man (because of property age, land mass, location and topography challenges), I would bet that the 90 acre "Dunwoody Village" complex along North Peachtree Road & 285 would be one of the first of these properties to come in front the City Council for possible redevelopment. The 2015 Comprehensive Land Use Plan envisions the aging, existing multi-family apartments currently zoned RM-100 to redevelop into a multi-family, mixed-use development adding public functional green space and more owner-occupied options including attached & detached single-family homes. The community, after numerous meetings, stated that the vision for the area should provide high-density housing options along I-285 with high-quality material and amenities that are contextually sensitive to the surrounding land uses. Strong continuity between developments through high architectural standards, quality building materials, prominent placement of amenities such as functional green space and pedestrian walkways and bicycle paths. Transitional buffer zones will appropriately protect any adjacent single-family residential whereby transitions include gradual increases only in height-plane, buffers and landscaping and intensity of uses. This development of numerous two-story apartment buildings built in 1981 is split into four different parcels (1, 2, 3 & 4) which appears to be last purchased as a group in 2014 for almost $83 million dollars. Looking carefully at the various maps, you will notice that there is a flood plain that dissects this large parcel into two haves with the creek running between it. 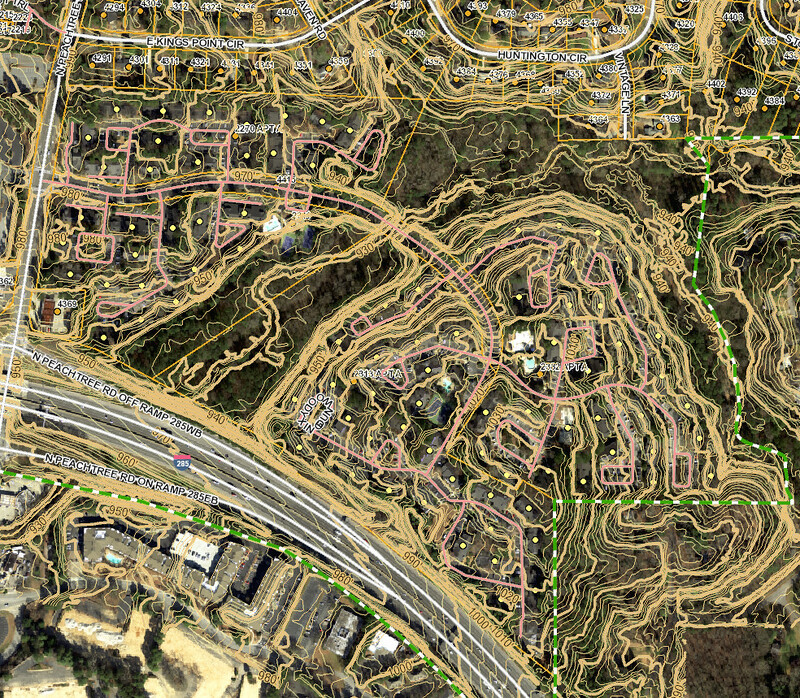 The topo maps show that the front half is flatter than the back half, therefore, there will be challenges in the development, especially if we wanted to save the many trees on the property as the comp plan states that future developments should incorporate sustainable building and site development practices. The creek area is pretty unbuildable therefore there could be dedicated park and path opportunities. Someday the owner or a future developer will decide that the current apartments cannot be rented at a rate to cover costs, therefore, they will want to sell off or redevelop the property. The current development rights are to build the same number of replacement units but because of the cost of the land the developer would probably want to increase the number of units per acre (which the city council may or may not agree to) and/or find a plan for the land that the community, in general, could support. 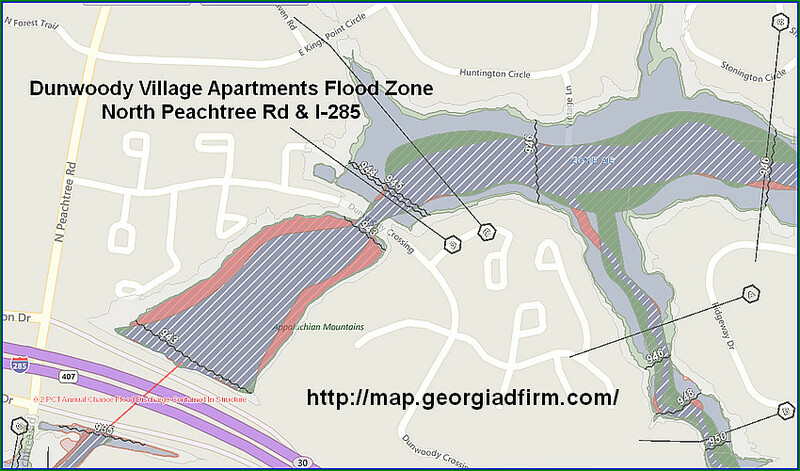 Mixed use is a possibility that was opened up for the Dunwoody Village / Dunwoody Crossing apartment complex on North Peachtree in the last comprehensive land use update whereby there are typically shops on the ground floor and apartments or condos above - think about the area near the Super Target in Dunwoody or the Costco in Brookhaven - that is mixed use. Another option for the multi-family, mixed use for the large tract could be a residential area in the back of the complex (past the creek) with a condo tower for those who want to downsize as empty nesters, master on main townhomes & single-family units built where the current buildings are to preserve the trees, then maybe a mix of apartments as you move to the front. The front could have a grocery & drug store, restaurants and other neighborhood shopping. Who knows maybe the gas station on the corner could be brought in to the development to include more commercial space (a Starbucks?) besides a gas station on every corner. 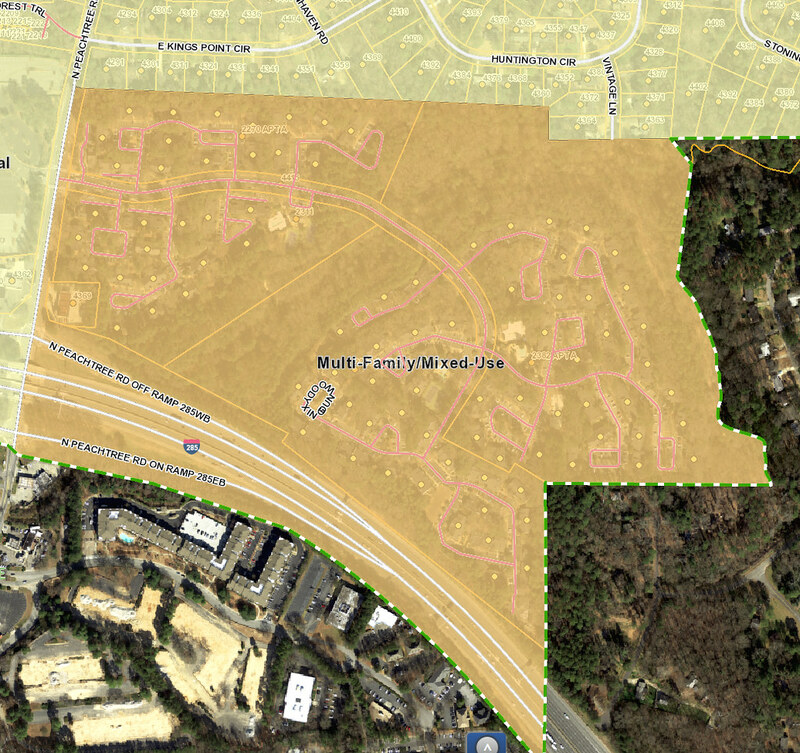 The Mayor and members of the Dunwoody City Council don't have the answers as to the communities desires on what would be acceptable level of redevelopment on these large tracts of land when they come in front of us for possible changes. We can hold the line on development, density and land use within the scope of law but we need to know the communities desires of what to do when developers come knocking with suggestions. Protecting the adjacent single-family residential neighborhoods abutting these properties are goals for the city but that being said, if you live adjacent to these complexes I highly recommend that you become informed and voice your opinion. This published meeting is intended to establish a community-based vision and action plan to guide investments and improvements within the Study Areas and I can publicly state that I am not aware of any plans to currently redevelop these properties - we are only trying to be proactive as the 2015 comp plan update requested that we do. 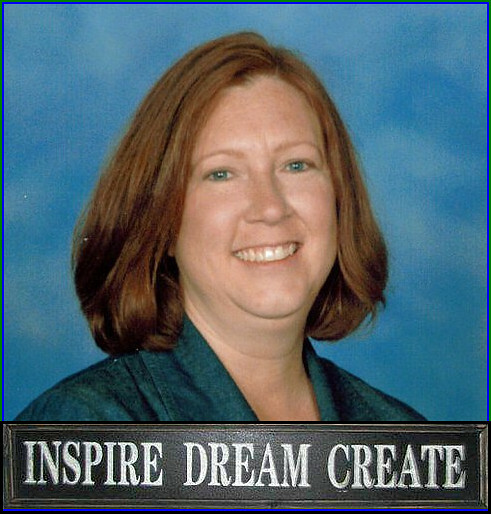 Please join us for a Dunwoody community memorial service for Lee Ann Brunson on Monday, December 4th at 7pm at Kingswood United Methodist Church. Children who are old enough to sit relatively quiet during the service are welcome and encouraged to attend. 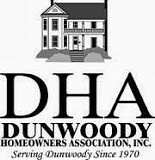 Dunwoody Homeowners Association meeting Sunday night welcomes Dunwoody Police Chief Billy Grogan and others from city. Sunday, December 3, 2017 @ 7:30 P.M.
Dunwoody Police Chief, Billy Grogan will give an update on the Dunwoody Police Department and Richard McLeod and James Lemoine (our new Code Enforcement officer) will talk about code enforcement in Dunwoody. There will also be a discussion on forming a Dunwoody Farmers Market on Saturday mornings at Brook Run. I unfortunately will be missing the meeting because of another engagement but one topic that I hope he covers is the legality of possible enforcement of "No Thru Traffic" signs that are up in some subdivisions on pubic roads. Because of congestion and/or construction between 285 & PIB, traffic along the top end may be guided onto surface streets via online traffic routing web services, in order to move faster than the main clogged arteries. Because of this recent development, our neighborhood surface streets are now starting to resemble the interstate at rush hour whereby there is a line of cars 30 long in front of your home where you are just looking to pull out of the driveway. Residents in my neighborhood were looking for relief from this cut thru issue along with more enforcement of speeding, stop sign violations and trucks also cutting thru. I reached out to Chief Grogan to share the neighbors concerns and asked that he have the Dunwoody legal staff research the legality of enforcing the "No thru Traffic" on public streets as I personally see the issue as unenforceable. I'm looking forward to the answer because if this item is legally allowed to move forward I would want to learn more as to probable cause for the stop and then as a community develop policies (ordinances) as to its use in order to protect our collective civil liberties.